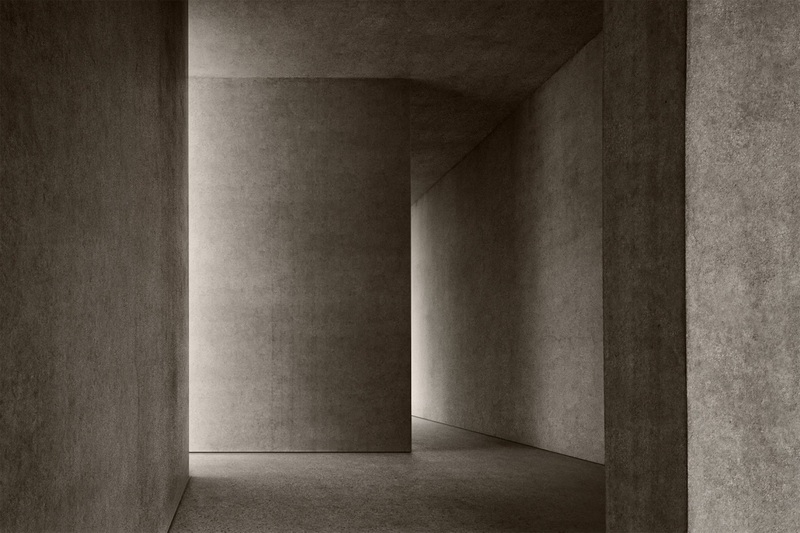 Surrounded by the chaos and noise of modern life, one searches for a place of peace, a space dedicated to the spirit, a temple for the soul. 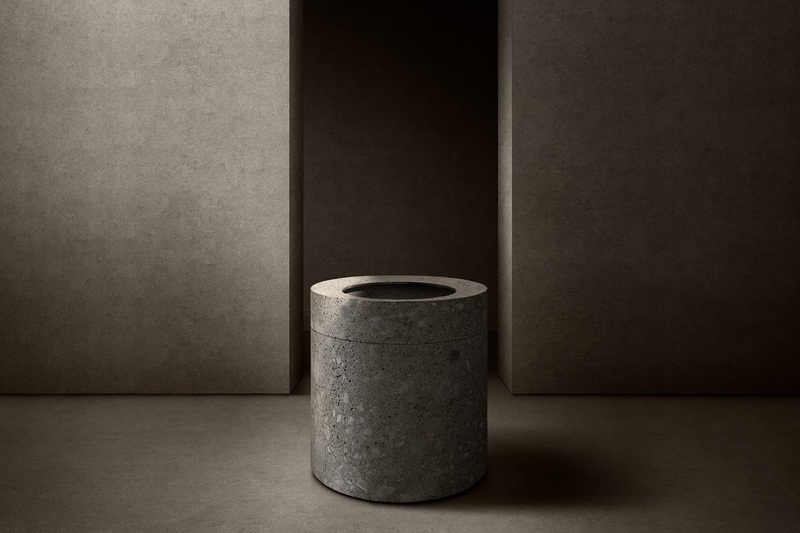 Templum is the name of the installation designed for toscoquattro during the 2016 salone del mobile in Milan. 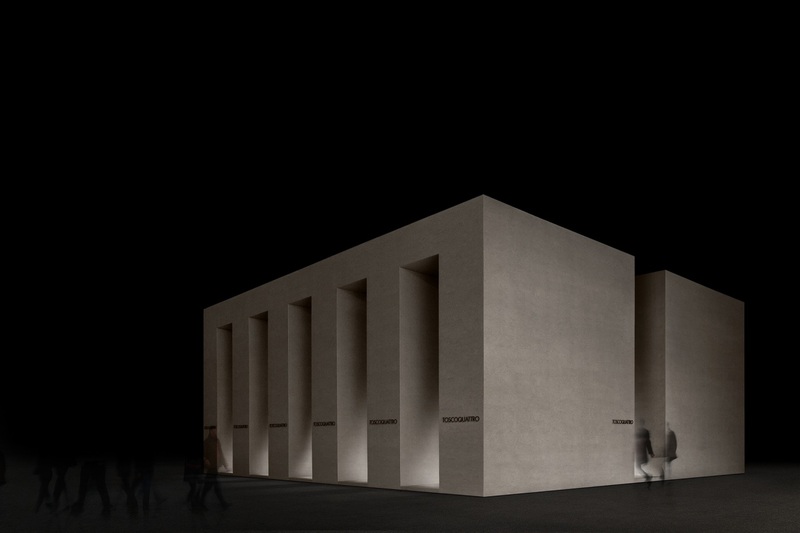 The concept redefined the boundaries of the classic exhibition project by breaking down the barriers between art and design to create an out and out architectural installation. 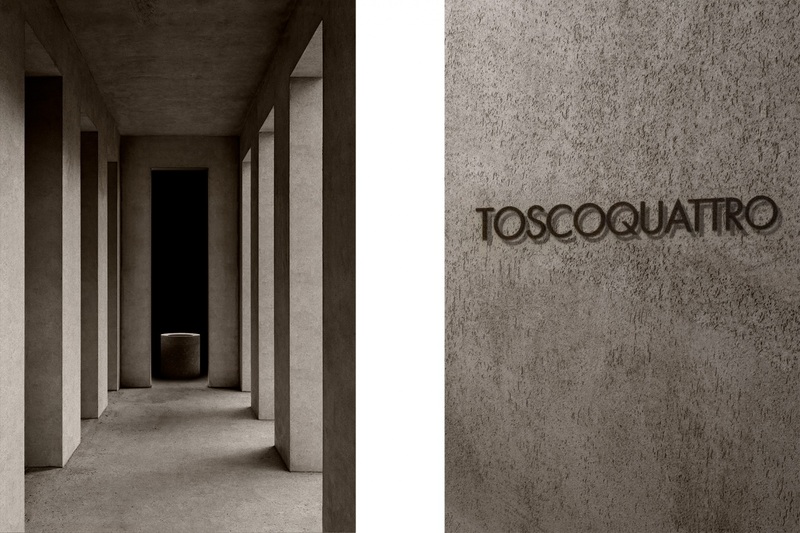 A pure, monochrome, monomateric space in which elegance and classical proportions echo, marked by a monumental colonnade that becomes an entrance portal and iconic element. 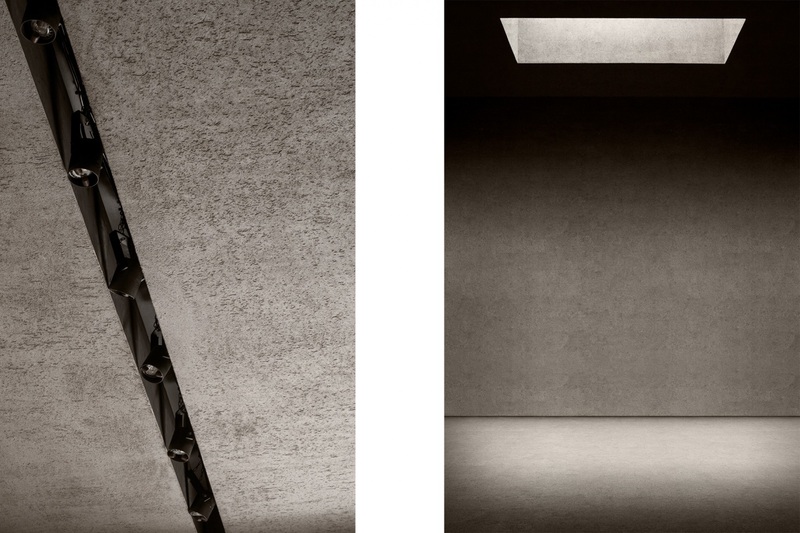 A rigorous geometry, defined by raw earth masses, reveals the timelessness and stillness of the interior space in which the visitor can transcend for a moment the prevailing materialism and the chaos of the Milan international furniture fair. 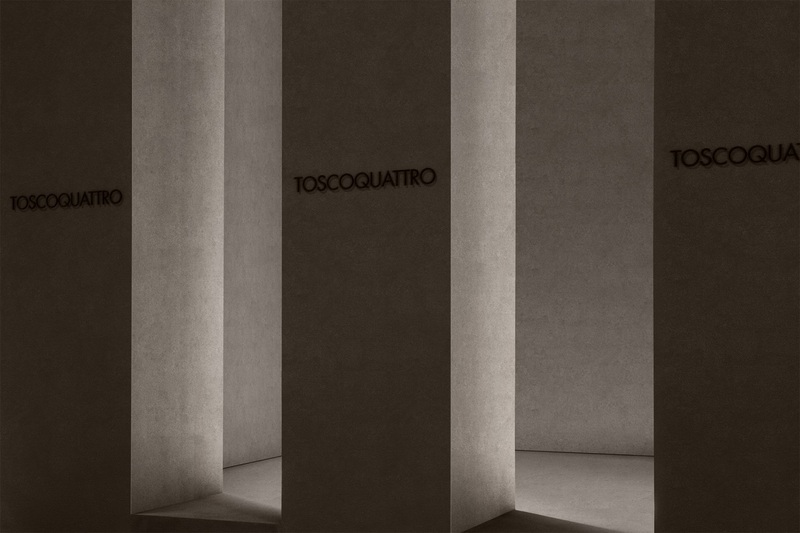 Timeless architecture is revealed on crossing the threshold, projected towards the sky, in which the toscoquattro collections are housed. 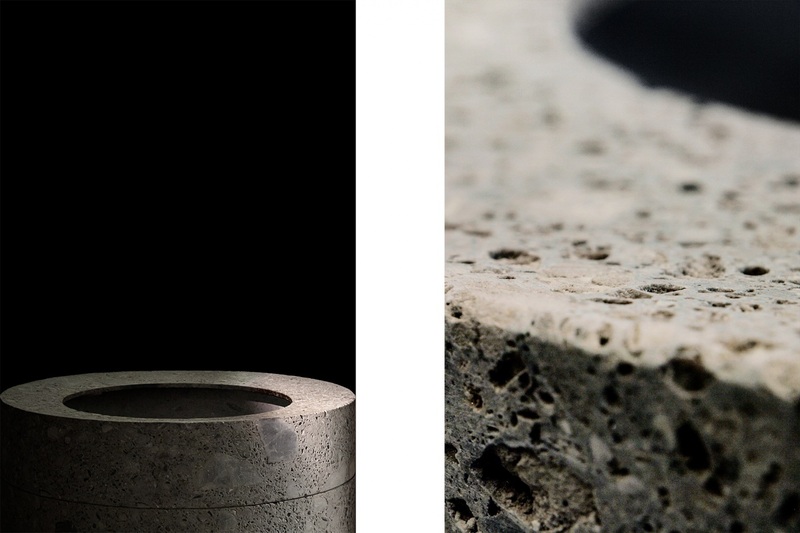 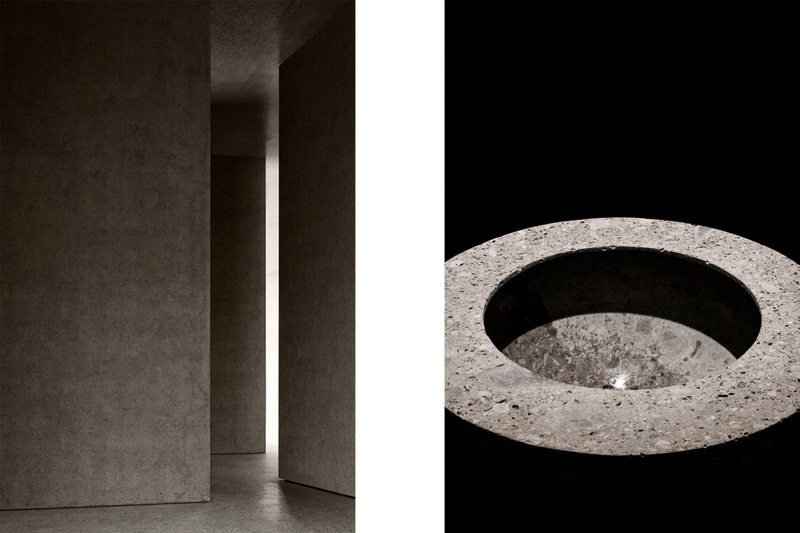 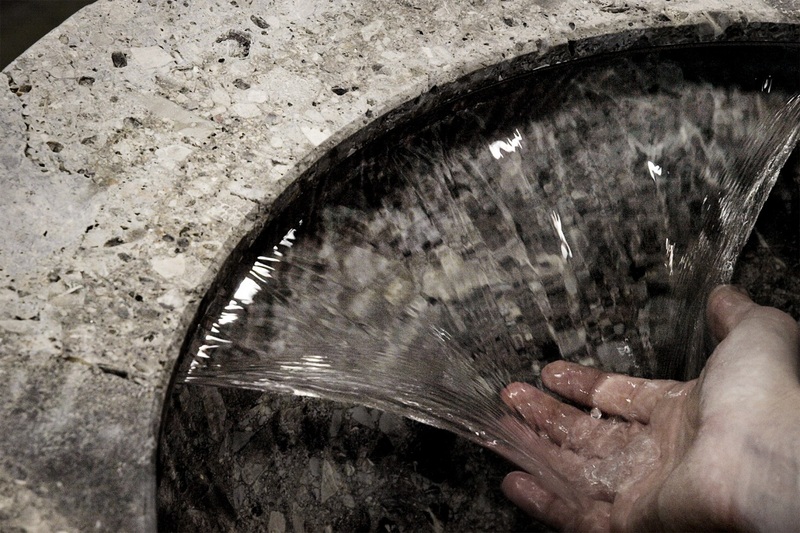 In the centre of the temple, protected by floor to ceiling walls, the anima liquida washbasin becomes the core of the entire installation and a poetic metaphor of the source of life.